TrainSimDev.com • View topic - What is your current Project? Re: What is your current Project? I agree with you Daniel that the duchess is probably not as refined as the 4F in either the looks or running quality for smoothness and quietness. I suspect the noise is due to the gears. On mine, the return crank is offset behind the wheel centre instead of infront as the real one would be, and the other side goes straight up the middle with no offset, although I will have to see if that's because the expansion link is too tight as it was on yours. Not one model railway manufacturer can seem to consistently get the bloody walschaerts valve gear right, not even on my £1400 0 scale B1, and I wish they would because to me it's an important part of what makes a steam loco attractive in the first place, seeing all the lovely motion whirring around. Rant aside, I am still very pleased with my Duchess. The brass axle box cover on the pony truck frames is per the prototype in preservation, but in working days it was no doubt painted black. I would love an N class mogul at some point, because it just looks exquisite, and I can't say I'm overly fussy about what will run on my layout - one day I aspire to own a Bachmann Berkshire or Mikado and a german loco from Fleishmann, Lilliput or Arnold, but when they cost about £300 I think I'm a fair way off from getting one! I hope Farish will produce a K1 or K4 one day, going by how well they've made the N.
No news from me otherwise. My dad got a Farish Class 25 in BR green, which is yet another lovely model. It's not as quiet as the 4F and I'm not sure it's a coreless motor inside running the two carden shafts, but it's SMOOOOTH. Whilst I'm a steam man at heart, I would be lying if I didn't have a soft spot for diesels. Thankfully it seems to me that Farish are very good at those too. Well just a photo update from me today, I've been getting a fair amount of rolling stock which was partly from a massive sell of and part ex of my 00 gauge stock which was taking up so much room it was becoming a burden to deal with and since I'm mostly going to be working on N gauge I thought I'll try and get as much as possible. Eastern Freight Set: This set includes a ex-LNER designed J39 in br black early crest emblem livery. While this model isn't a coreless motor type and is a tender drive its as quiet as the coreless motor and its got excellent pulling capacity, it smooth to which is a added bonus. It comes with a bogie bolster wagon which has steel H shaped beams and includes a BR era brake van, both are in grey colours. I did get a class 25 in BR green like Chris's dad but mine had a red LED fail and then the motor started making a wub-wub-wub-wub-wub-wub at any speed, I wasn't happy with that sound and also how loud it was so that got returned for a refund since they didn't have any others and they were offering to send to bachmann which probably would have been returned with a note taped on "its not broke". I did have a class 24 in br blue tested as a replacement for the 25 but well...the 25's chassis is based on the class 24...so wub-wub-wub-wub it went and its lights didn't work either. Kind of annoyed at the point I just asked to be refunded and I'll either try another 25 from either hattons or rails of sheffield or try something different entirely. Added to all the above is two gaugemaster combi controllers to power the two loops, I highly recommend having guagemaster controllers for DC operation as they are very precise and have excellent control and also for you Chris, I would suggest getting a N gauge re-railer...believe me after trying to get 8 tiny steel ore wagons ,5 locos, 7 carriages and a number of other items on the rail by hand I was getting thus annoyed with the process, the re-railer does it in 2 ticks. With the 00 stuff out the way the board is also ready to be moved over to the other side of the room and it just requires a some minor frame modification and a Cork sheet glued down on it which I'm going to use as a base before putting the track cork underlay down and get everything in place, so shouldn't be to long to I get everything up and running hopefully. I think after that I'll be cutting back on loco purchases unless its a must have and start working on getting some more metcalfe kits aswell as a kingswear diesel refuel point white metal kit to. I would also like to add some gresley bloody and custard teaks from dapol for the J39 and a 3 bulleid carraiges for the N class to so I have a variation in passenger stock to use. Also I forgot to mention above, yes the class 25 doesn't have a coreless motor, most of the diesels come with 5 pole type motors, more updated ones mind, but the generally are that type. Hope you enjoy the pictures, some are a tad blurry but you can still mostly see what is in the pics. I'm going to take my duchess into my local model shop in a few weeks for the bachmann repair gent to have a look at the stiff part of the connection rods, they said it'll cost about 10 quid so no real issue to me, hopefully he'll be able to loosen it up with the proper tools. Not much time this evening for the usual very lengthy post ("yay!" ), just a slightly lengthy post ("awww"), but just to say Daniel that it looks like you've acquired a fantastic N gauge collection this year. I think you're more rational than me when it comes to models, as I could never bring myself to sell any model as I get too attached to them all, even if they're in the loft where I barely ever see them. So I'm very lucky to have a nice collection in multiple scales - perhaps it'll become a family heirloom... Thanks for the photos and recommendations for more N stock Daniel, I think all of the locos you've talked about and shown are on the ever growing wishlist. And yes, if I don't buy a 4mt tank then I think my dad will (I think we both hope that the other person will buy it so we don't have to spend the money ourselves ). I was very naughty last week and treated myself to two new models, my first Dapol locos: Western Firebrand in BR maroon and small yellow ends from the Model Railways Direct sale, which is sublime although the running qualities are less refined than in my dad's Farish class 25, and Anthony Manor in shirtbutton livery from my local(ish) shop at Monk Bar, York, which I'm overall quite pleased with (exquisite moldings and separately fitted details, and very smooth), but I'm not particularly satisfied with the dull flat matte paint job (in looked better in the shop display). But that's one for another thread, I think, as my plans are to get down and dirty and do something about it when I have enough confidence and experience. It is also exceptionally noisy to the point that I don't enjoy running it much faster than a scale 30mph because it starts to hurt my ears abit. I can only assume that it's because it's so low geared and that there is probably a considerable gear-train hiding in the firebox that's whirring away at incredible speed. The carden shaft across the cab seems to spin at about 200RPM at crawling speed, which gives great slow running performance, but you can imagine how fast some of the gears must be rotating at normal speeds! All gears that I can access without dismantling have been oiled, as required by the warranty. I think I've probably turned this into a bit of an N gauge product discussion thread. Moving forward, I suggest that we continue our N gauge product musings in a new thread and carry on with "projects" in this one. I've got two projects on the go at the moment, one of which is practicing and experimenting with a paintbrush on an old but special Hornby 00 model, the other being the actual new layout to run the N gauge stuff on. A simple 6 x 4 foot baseboard was drilled and screwed together this evening, but until I do some tidying up it to make space for it, it had to be moved into the stables for tonight. Whilst most of it is covered up, I'm just praying that stable residents Mr and Mrs swallows and their fledglings don't land a well aimed splat on the exposed bits. I intend to post/blog about these projects in their own threads when I get a chance. The dapol motors can be really noisy, I returned my class 22 as after the run-in period it still sounded like a dentist drill. Alot of the motors for the N scale dapol locos are pretty rough mechanically and most of them are slow creep 5 pole type in the diesels dapol releases, if they don't have the supercreep motors in they tend to be very loud and some people have even said to spend somewhere in the range of 5-15hours of run in before they started to quiet down some more. The manor's drive shaft may possible be loose which might be causing the sound to be alot louder, I don't know about the western though, RMweb has a length western thread about numerous issues with the westerns from lights to motors to back-to-back not being correct on the bogies. I suggest if you can, maybe taking the decision to return the manor and see what the shop thinks and giving the western atleast 3hours of run in, see if it heats up and see if the lights crap out on it as some of the earlier batches of westerns had reversed wiring and bad circuit boards which ended up them being sent to DCC supplies or returned to shop of purchase. I was tempted to get a western, since they are on sale everywhere at the moment but the write ups by owners isn't particularly encouraging for them, might see late october and ask rails of sheffield to test a few for me before sending so I get a fairly decent runner. Been awhile since I posted, so a early Merry Christmas to all of you and hope you get some nice goodies and such. I have only been able to get back to the use of using a computer in the past weeks so hence my lack of posts or messages to anyone in general. Late October I had abit of a mishap..well if you can call it that, I was visiting parents and lost my footing on the stairs in the house. In a nutshell I went down head first and braced my arms out for the impact at the bottom, which they unfortunately have tiled and I landed with both hands flat on said tiles. Suffice to say the impact broke my left wrist outright in two and put my hand at a amusing angle and my right wrist T fractured from the impact. So since mid october 2nd last week of Nov I was full lower arm casts, pins and plates and then physio since then. I'm just gaining some of my normal hand use back now but its going to be looking to Feb by the time I get realistic usage back and also a operation in 3rd week of Jan to repair nerve damage in left hand, I have a almost constant tremor after the impact which they have pinned down to the nerves so hopefully it can be sorted as my left hand is the dominant hand. Well besides all that, its been fun. Not much model railway stuff got done however it hasn't stopped me getting the needed bits and bobs and other pieces of rolling stock I had been looking into. What has changed is the outer loop has been extended out alittle more in both length and width allowing for a wider spacing between it and the inner loop, in doing so it will allow a double track station with footbridge over. Further to this change the engine shed which just terminated with the bottom siding has been extended right to allow for a two road refuel point for the br green diesels I have. A friend of mine working in the local model railway shop had pointed out to me on the early introduction of diesels and when steam was still very much in service they only really had spare sidings and a refuel point away from the steam loco sheds due to the potential of the steam locos catching diesel fuel on fire etc. 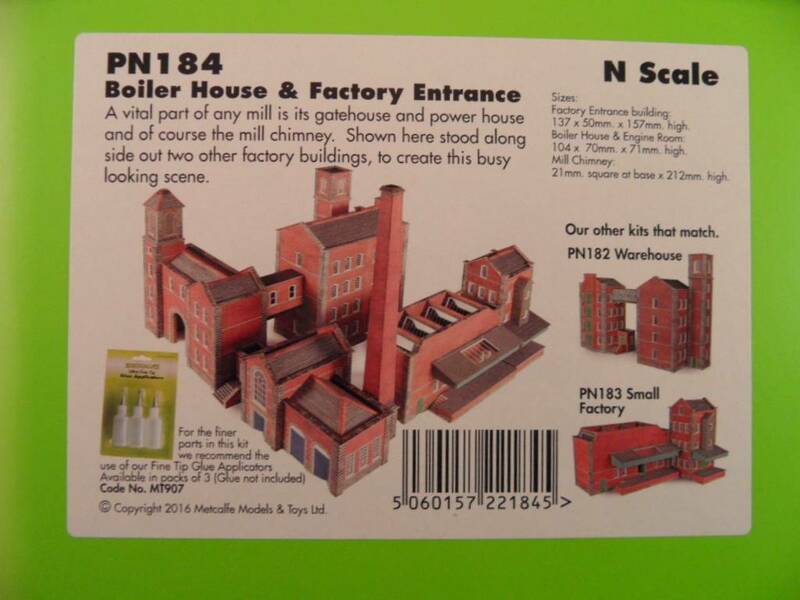 This has another positive as I can purchase the soon to be released bachmann N guage scenecraft refuel point to use in that area and also allow for both my steam locos and diesel locos to be on display together. The homefleet has been extended aswell.class 52 'Western Sultan', which I believe is the same as yours Chris was on sale at Rails of Sheffield and I decided what the heck, see if all Dapol stuff is as bad as they read on the internet. Suffice to say I was able to run it in and its fairly quiet and smooth running but it does seem to have quite a high power draw compared to other locos. Alongside this loco I finally got a black 5, it is the one loco out of many years of having model railways since I was a kid I could never get my hands on, they either were sold out or considerably expensive to get. Its in Br colours and I think its late crest aswell. It is tender drive, very quiet and has a decent bit of pulling power to it from what I saw when I put 6 mk1s behind it. To add to these coming from parents at christmas is a Dapol BR black 57XX pannier tank, I had the opportunity to run this in before passing it back to my dad to wrap for x-mas. Contray to the vocal minority saying they have bad pickups and run poorly my 57xx seems to be fine, interesting to note it doesn't have the porthole styled windows but the more square shaped with a curve to the top so its actually different to the one we have in TS2016. The detail on it is quite outstanding really. Coming from my sister and mum will be a rake of 4 Stanier BR era crimson and cream livery coaches which will compliment the maroon MK1s I already have plus I am a great lover of stanier coaches but a shame porthole type isn't available yet in N, I will probably have the duchess and black 5 pull these coaches regularly, maybe the 4F to. Finally as a present to myself for x-mas I ordered a A4 Pacific Mallard in BR dark blue with early crest which is done by Dapol. I haven't had the opportunity to run it yet as it turned up yesterday but hopefully can do it today hands permitting. Funny enough I've never owned a A4 Pacific even though I used to visit mallard regularly in York and certainly never got the opportunity to own mallard in some form. I am going to get a rake of dapol gresley coaches in cream and crimson for it to pull at some point to. Come Jan 4th I will also be ordering Cranmore Hall from Rails of sheffield which will fill out a GWR 2-6-0 design in BR colours, been favourable reviews of its running quality and noise level and the videos you can find of it on youtube seem to back this up aswell. Anyway abit long winded but I hope everyone is doing well, better than me at anyrate and Merry Christmas and happy new year if I don't post beforehand. Sorry to hear about your accident but glad you are starting to recover now. The layout looks good (not dissimilar to something I knocked up on a whim for when the kids leave home - in about 15 years! ), look forward to seeing pics of progress as you make it. Bloody hell Daniel, you've really been in the wars haven't you?! The double wrist injury sounds incredibly painful, and no doubt has been a massive inconvenience for just doing everyday tasks, let alone gaming and modelling. I really hope that you are on the mend, and that you still have a really great Christmas today, particularly with your new fleet of locos. No modelling news from me since the summer I'm afraid. I haven't been living at my parents house for months, where all of my models are, plus the whole layout idea had to be withdrawn after a reality check from mum about where exactly would the damn thing live? It seems a shame to have acquired so many models and track this year only to not be able to use them, so I've put forward an idea for buying a new insulated garden shed to live in our paddock next to the existing shed and ponies' stables, where there is room aplenty. I think it ultimately will depend on whether my parents intend to carry on living at the current house for the foreseeable future, or whether they think they might move in a few years time, in which case investing quite a fair sum of money on a large new garden shed would not be very sensible. One day, something will happen. In the meantime, whilst I haven't bought any models in a while, I intend to keep collecting them anyway as I just love them, even if I can't play with them. I'm enjoying doing the odd bit of tinkering when I'm back home as well. In a way I suppose they're a bit like jewellery to me: expensive, a bit pointless but very pretty and very desirable! Well, a update I guess? 2016 turned out to be quiet a rough year for me in general, my health in both mental and physical state didn't improve much and as that went on depression hit me like a truck and I went through a especially bad period in the backend of the 2016. Hobbies, general interest and just wanting to interact with people become differcult to do so understandable not a aweful lot got done with the model railway. For a brief time over the summer period I did however come out of a down phase with it and was able to indulge in another hobby of mine which is doing scale model kits of WW2 ships, admittely alot of those kits didn't get done and I managed a Nagato class battleship in 1:700 scale before my depression reared its ugly head. However, in that span of time I still collected things and I've got a stash of model kits to work through in the next few months once the weather decides to suitably improve enough so that I can do stuff in the kitchen. The problem with the kitchen here is that it sticks out from the house and has widely bouncing temperature ranges. In the case of my model kits, both the hoard of 1:700 ship kits and 3 large 1:350 scale kits (Yamato, HMS Warspite, HMS Belfast) the random temperatures can prove to be extremely negative for the application of glue and spraying (October 2016 got a professional airbrush kit, more on that later) since to warm would cause the plastic glue to dry to quick and thus have little time for manipulation and with photo etch metal parts to go on the ships it would cause the superglue to not set properly and Photoetch is a ***** to deal with. I will be starting the 1:350 scale Yamato kit which will depict Yamato as she was in 1939-1940 before the sucide run which eventually ended up with her sinking. Its a huge kit coming in at 75cm long when fully built and will start on it in the coming weeks as the light level in the kitchen is also better and the temperatures not as bad, its been to cold recently to even sit in there with the craft table I have. If I remember I'll grab some work in progress pics as I work on the monster as I've a full photo etch kit for it including metal barrels and wooden deck. I made mention of a airbrush just above, well with going into WW2 ship kits using a rattle can and spraying them proves to be the ultimate pain in the arse experience so I invested in a proper airbrush kit, namely a *says with german accent* Harder & Steenbeck CR Plus airbrush which has been featured in model railways magazines a few times. What this allows for is proper control of paint flow but also the ability to cover large areas aswell and the one I bought had been specifically put together as a kit designed for both tank and ship builders but also railway weathering so I now actually have the means to do some proper weathering on the wagon fleet with my N guage stuff and get some of the arylic based weathering paint sets which have popped up over the years. But what about the model railway you ask?? Well work post haste will be starting on that shortly to, I had little time or ability to work on it since last post however the setup stages were in place for track laying so that atleast will be starting shortly, I also had to rebuild the board due to warping due to winter temperatures so that didn't help much either. 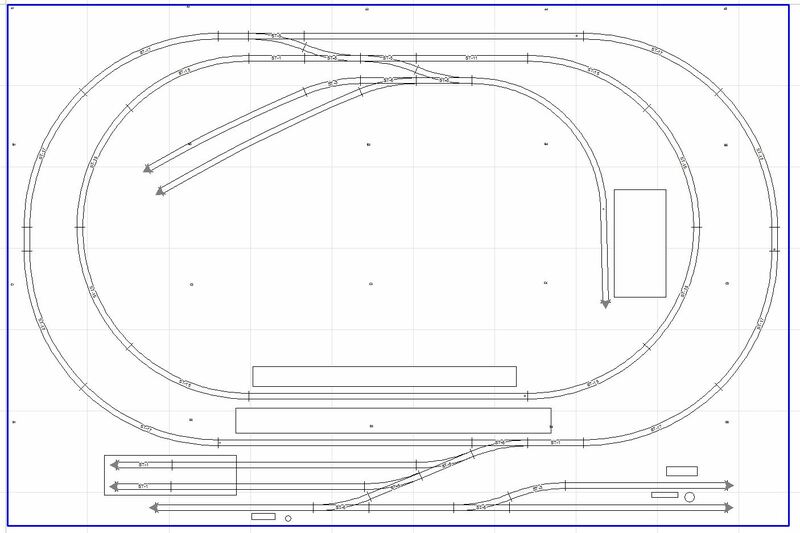 The layout plan has mostly kept its original shape however the lower sidings running off the engine shed have been removed due to both wiring complexity and well "why do I need those there?" mindset. Points into the shed are and the crossover of the top have been changed to medium radius. When I checked a number of locos on the smaller settracks points I found the radius one geometry was causing the locos to get stuck in some cases and since I've got a large fleet of 2-6-0s and pacifics I decided to opt for a larger point radius and size so they don't foul the pointwork. 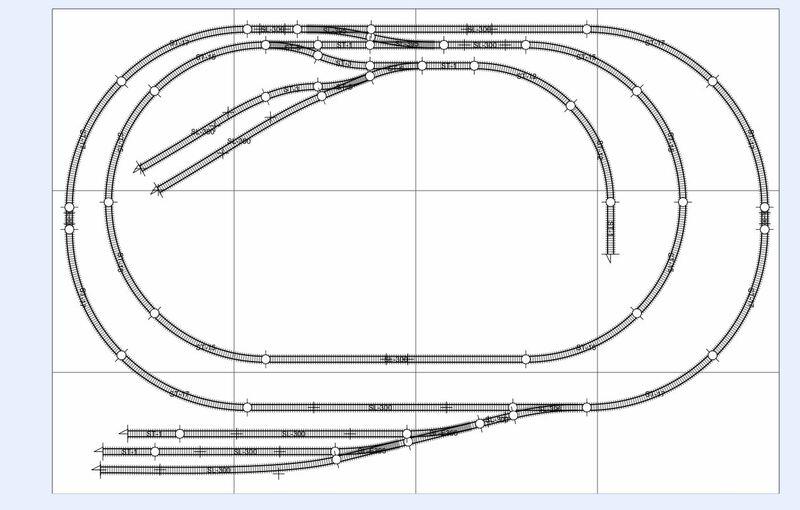 All track is bought and ready to go, infact it has since last april but due to the multitude of issues never got much done . Infact I was so happy with the new castle class I've bought another one out of my own money, Sir Daniel Gooch which is in BR lined green Late Emblem, they might arrive tomorrow (Sat) or monday, I can't tell yet as the postage I picked was supposed to be a Sat delivery but the tracking is showing arrive before designated time on 15th which is Monday. Also with birthday money I finally picked up a DCC concepts rolling road, this does what it says pretty much, it allows me to test the locos I buy without having a layout down or moving a hefty board around and placing track down tempory, I can just pop it right here next to me at the computer and leave it to run in for a hour each direction without all the stress and hassle. Its a good bit of kit, although it does come in at a pricetag of £55.50 for the active set however it allows for multiple scales from HO/OO, N, 009, TT, HOm, HOnm3-1/2, On30, EM and even P4 so if you have multi-scales its actually price for performance extremely good value for money. Alongside the locos I've also picked up over the year or so a few more mk1s in maroon and cream and custard and also came with birthday prezzies were 3 CCT vans in maroon to add to passenger trains or fast goods services, I will probably have them behind the castles in their consists when I get to running things proper. Actual work on the layout for a start, getting the track down and wiring it up and making sure it works then scenery will start post haste. Scenery won't take especially long with static grass, foam and Metcalfe kits really starting to become quite robust now for N guage I have alot of options available to me. Rolling stock wise for the layout their isn't much else for consideration besides maybe filling out the freight wagons and eventually getting a new 8F when they are released by graham farish (they made a announcement for a new tooled one, squeeeee) which if they follow similar mechanism to the WD 2-8-0 should be a nice powerful loco with whisper quiet motor. I would also like to get my hands on a 4-5 coach consist of Graham farish pullman coaches but they are 30 quid a pop at the moment and even though I could afford to grab them its still a hefty amount to fill out a pullman consist of 4-5 at this time, so that will be on the "to buy later" list unless I can snap a deal off ebay. You realise you HAVE to post WIP pics as you go now? It will probably get placed close to the double sidings depending on the orientation of the buildings and how they link up in the instructions. I also grabbed some of Metcalfe's retaining wall kits to experiment with abit to, might give a bash on some of them at the weekend, depends on the humidity, its been pretty high last 2-3days and that with cause havoc with the card glue. As you can probably tell, there yorkshire based so you can see their affinity for red brick fashion type buildings. They do some grey brick and GWR types, but certainly red brick type dominates most of their kits. I'll see if I can dig out the pics I took of the 1:48 tiger tank I did not to long ago, I had it from beginning to end of building and applying photo etch to it.